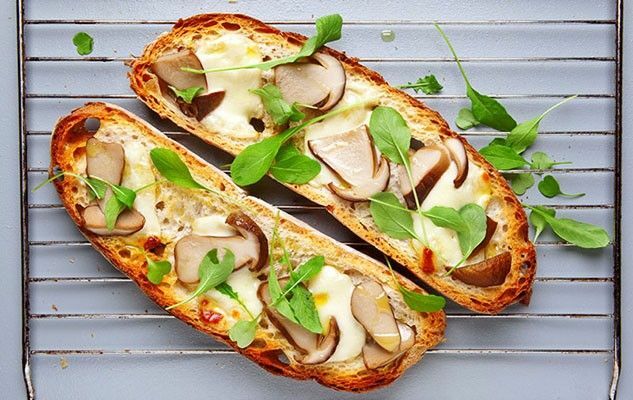 TOP 10: Must-try crostini, toasts and tartines! What’s a crostini? You’ve definitely tried one, whether you realised it or not. It’s simply an open faced sandwich on toasted bread. Baguettes and country-style breads are great choices for bases, since they toast nicely and hold up to weight, while being able to soak up flavours. Crostini are the perfect summer treat because they’re light, but rich and delicious, and you can create recipes based on whatever is available. Soft cheeses and bold spreads form the base, with fresh veggies and fruits rounding everything out. 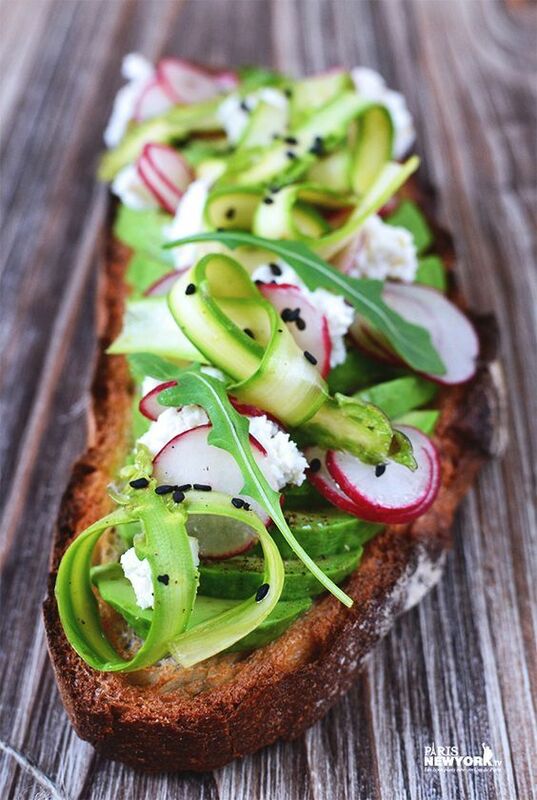 We’ve scoured the web to find 10 must-try crostini to help inspire you! Leek is an under utilised member of the onion family. They can seem a bit scary in the supermarket, with their wide stalks and somewhat tough, leathery leaves, but they really aren’t that difficult to work with. Leek has a much milder, sweeter flavour than most onions, and goes well with cheeses and creamy soups. This crostini is an excellent way to get some leek into your regular routine. 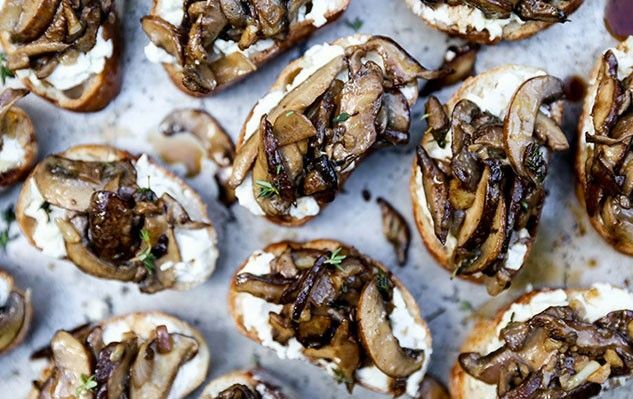 There is something absolutely irresistible about perfectly sautéed mushrooms. They carry lots of ‘umami‘ flavour, which is the flavour responsible for the full, meaty flavour that you find in savoury dishes. Goat cheese also makes a perfect companion, since it’s sharp and salty with a great tang. If you aren’t already in love with chevre, this is the way to fall for it! This crostini is strait from New York and has a gourmet attitude. With peppery arugula and spicy, crisp radish to go with the creamy avocado, it’s really a home run. It also incorporates a recent trend. Thinly sliced asparagus as a topping or garnish is really sweeping the web, in everything from this crostini to great tartes.